Pamper your navel with an exotic piece of jewelry like this Red Eye Dragon banana navel Ring bell. It comprises a 316L Surgical Steel bar and a 925 Sterling Silver charm part. 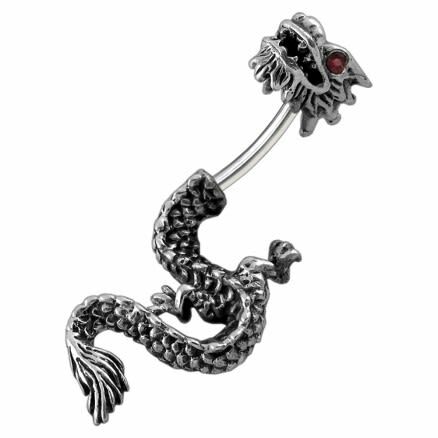 Featuring a dragon as its main design, this navel ring hints for a cool and edgy look to colleges, parties and Halloween’s.